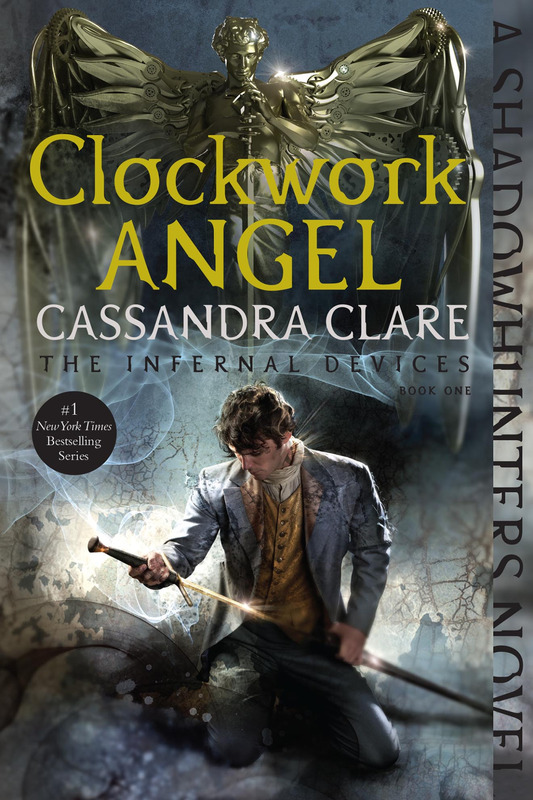 Clockwork Angel is the last book I have read for the month of October, which I also made a mental promise to myself for, that it would be the last book I will read for my semestral break. Before I started this book, I actually had second thoughts, because a voice at the back of my mind keep telling me that I should be studying, but as soon as I read the first page, that tiny voice became smaller until I can no longer hear it. The beginning of the story was very compelling. It really made me want to read on and discover what would further happen in the story. Starting with Will Herondale’s point of view wasn’t a bad choice either, since I have been very intrigued with his character ever since this book was first released. And as I read along, I began to understand what the “Will Herondale Hype” was all about. Clare did an excellent world building in this book. I really felt like I was in 1800s London, and it’s as if I was there as a reader, wearing dresses, carrying parasols, and riding carriages. The description of the houses, buildings, modes of transportation, and the culture itself showcased an era unlike ours. As the first book in the trilogy, I can say that this fulfilled its role splendidly. Overall, the story proved to have a superb arc. It never became dragging, and it continued to have a fast pace all throughout. The book continuously built up a very compelling story having a really unique plot. Plus the fact of having great characters who you will surely love for their mysterious pasts and the way they think about themselves. And that’s what I like the most about it, I was also able to finish the book in one sitting because of those factors. Highly recommended for steampunk, fantasy, and romance fans, and a must read especially for those who have read The Mortal Instruments series. This book does not disappoint. I can already see myself having this as my favorite trilogy once I finish all the books. Tessa Gray as the main heroine in the story was a very interesting character. She had a remarkable character arc throughout the book: from a girl who used her abilities just because the Dark Sisters told her to do so, to a girl who used them to help the Shadowhunters stop everything from becoming worse and to save her brother. And that love for her brother which inspired her to push through everything she could do to save him also made her a lovable character. Will Herondale. Do I even need to say more about this character? He is the one I loved most in this book because of his impossibly adorable sarcastic attitude, which I knew he was doing for a reason because he’s not doing those things just to be rude. He is very much like his descendant, Jace Herondale with his motto, “To love is to destroy.” And the reason behind that, I would more than willing to know. Also, his book references when speaking with Tessa will surely make you swoon. His love for books and poetry makes him all the more charming, although he doesn’t quite admit that first with Tessa. And Jem Carstairs, Will’s mediator and bestfriend, and possibly his total opposite when it comes to personality, is another lovable character for his openness and the way he welcomed Tessa into the Institute. He never really hid anything, and he was such a nice and respectful guy, a gentleman. The unique factor in his character is that he is dying every day, because of the demon that tortured him in from of his parents when he was still a child. And that makes my heart ache, he can’t possibly die that soon… Or can he? Overall, the story proved to have an outstanding plot. AND THAT PLOT TWIST! That Mortmain was the real Magister, was very shocking. It really made me question myself on the characters I believe in, and made me realize that Nathaniel Gray wasn”t really someone to like. In fact, I loathe him so much, considering that he sold his own sister for money. Also, I wanted to know more about what Tessa really is, and how Mortmain knew all about it. Lastly, it was really cool and such a horror that automatons were made possible during that time, and that those things are the ones the Shadowhunters need to deal with and not with demons this time. More questions were brought up as the book came to a close, and these made me want to read the next books soon.